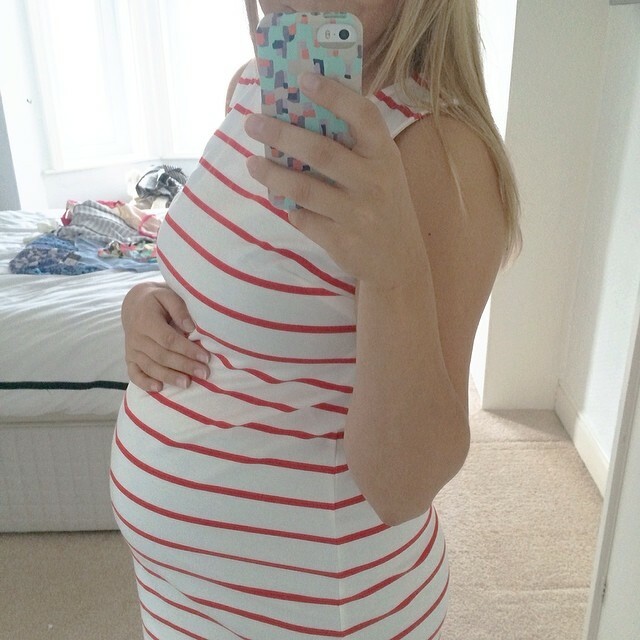 I can’t quite believe it has been 6 weeks since my last pregnancy update! The time is literally flying by, before I know it another week has crept up on us and as we entered June earlier in the week, reality hit that I will be having a baby NEXT MONTH! It has been an eventful 6 weeks so I thought I’d share what’s been going in our crazy baby world! We started the nursery project a few months ago after using the spare room as a dumping ground for all of our junk (literally) after we moved in to the house in December. First things first, we had to completely clear the room, relocate all the rubbish, knock out some gross and ancient built in wardrobes, make some cosmetic repairs to holes in the ceiling, and finally we had a shell we could work with. A few weeks of plastering work and painting later, the carpet was finally installed last week and I am absolutely in love with the room so far. We were able to put all of the baby “stuff” back into his room (I couldn’t even get into bed with it in our room!) 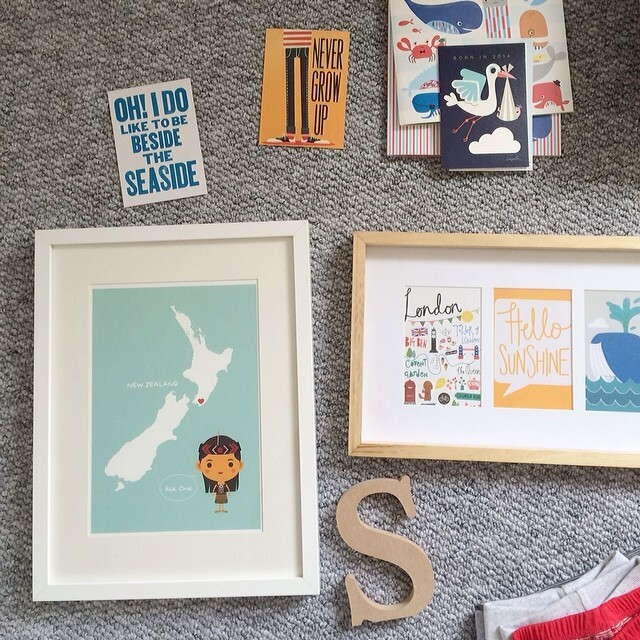 and I have unpacked all of the nursery decor bits and bobs I’ve been picking up over the last few months. We still have a long way to go with the room but it is slowly starting to take shape. 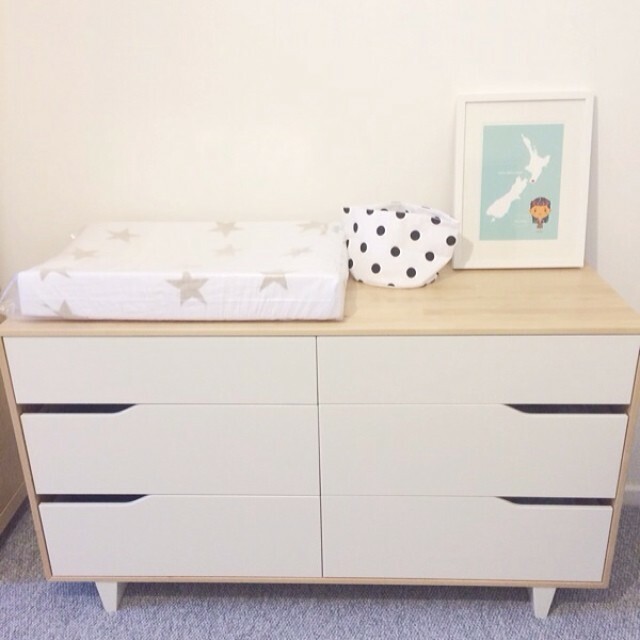 Watch out for a nursery tour soon but for now, here’s some sneak peaks of what I’ve picked up! 1. This buggy will last you if you plan to have more than one baby. For a few hundred pounds, you can completely change the look of your buggy from the gorgeous range of boys colours they have available, to something much more girl appropriate. 2. You need one frame and one seat frame bar for the life of the pushchair (should suit up to 2-3 years). 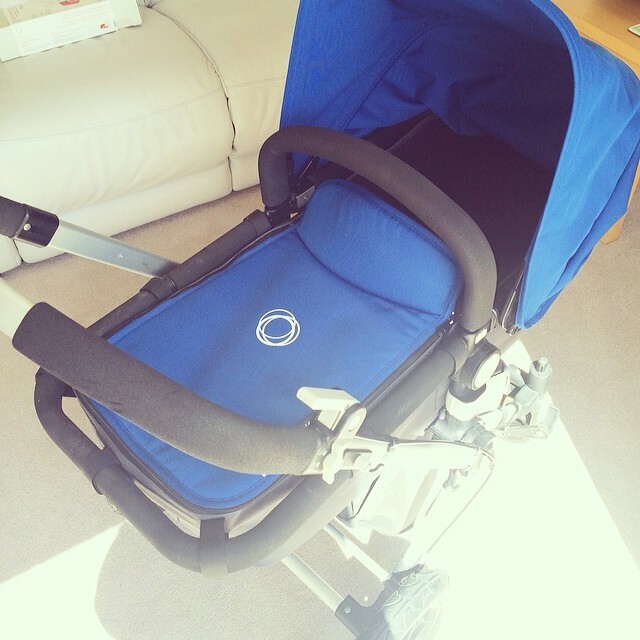 No need to store the large and awkward bassinet when you’re using the seat like with other Prams, you simply take the bassinet fabric off the frame, and pop on the seat one instead. Easy storage, and very, very simple. Bravo Bugaboo. Our pram is being kept at my Dads house until the baby arrives, so every time I go round there, I’m always dying to have a play with it! Yes, it was inevitable, but I can confirm it has happened. The arrival of 33 weeks meant that I could no longer reach down to my feet and tie the laces up on my trainers. 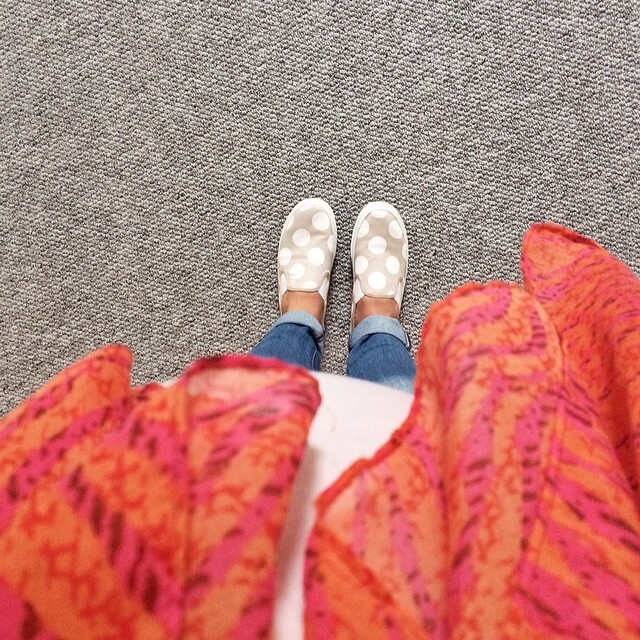 Luckily GAP came to the rescue with these adorable slip on pumps and I literally do not want to take them off! 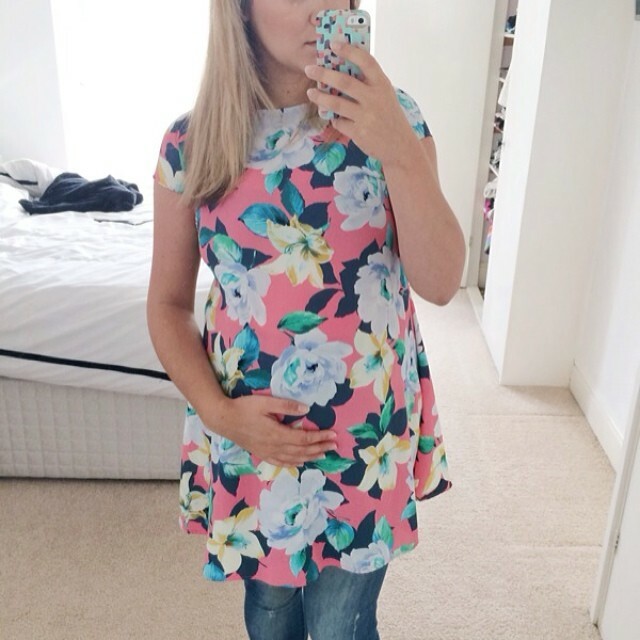 As 34 weeks approached, it was clear that I needed more variety in my very limited maternity wardrobe. Luckily Primark has some great offerings that are bump covering and well fitted. I did a little haul in the week and feel much more content that I have some more dresses to wear as the weather gets hotter and that will be wearable post-pregnancy. So even though my appetite has certainly suppressed from the huge amount of food I was eating just 6 weeks ago, I have been eating much more chocolate and sugar based foods. Maybe it’s for energy, or maybe it’s because the baby likes chocolate (hey, thats the one I’m going with), I literally cannot stop myself! I havent sufered with swelling at all (yet), however all this heat has meant that I cannot comfortably fit into my engagement ring any longer. We’re off shopping this weekend for a larger replacement! I have been extremely fortunate throughout my pregnancy with the midwife care that I have received. Having a mum as a midwife has meant that I have only been to hospital for the 2x scans I have needed. 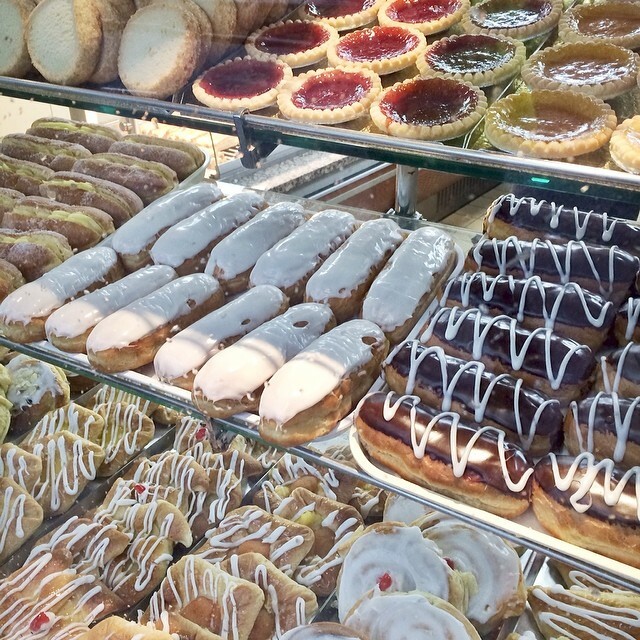 All my care has been given at home, often over a coffee and slice of cake. 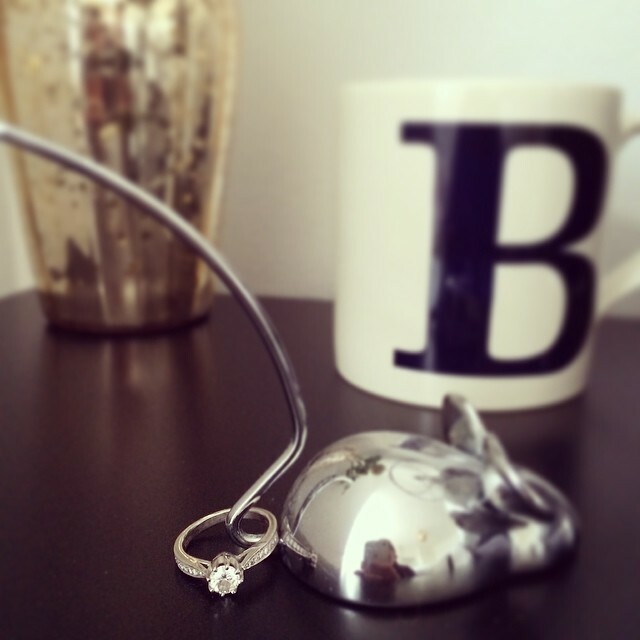 At around 30 weeks I decided I wanted a home birth, so I’ve spent the last few weeks researching and reading up on the huge benefits of labouring at home and I would even go as far as saying…I’m pretty excited about the whole experience. As for all other pregnancy related symptoms, things have really got crazy in this big tum of mine! Kicks and of karate force, and little feet often kick at my ribs during the day. I am aware of his sleeping patterns, his position and according to midwife Mummy’s check up yesterday, he is lying head down and 1/5th engaged (meaning she could no longer move his head around with her fingers on my tum). I’m sticking to my religious moisturising routine every morning and so far, I haven’t seen one stretch mark. As for the hormones, the last few weeks have been very calm and enjoyable. At around 31 weeks, I had a tough time with lots of tears and anxiety, but nothing lots of cuddles and chocolates couldn’t fix. So there is my little 34 week update! I’m off to Pregnancy Yoga this morning for a little R&R. I’ll try and keep you updated as the final weeks approach! I’d have those nursery pictures in my bedroom! So cute! I too have that dress from Primark and love it. Feels such great quality for Primark!